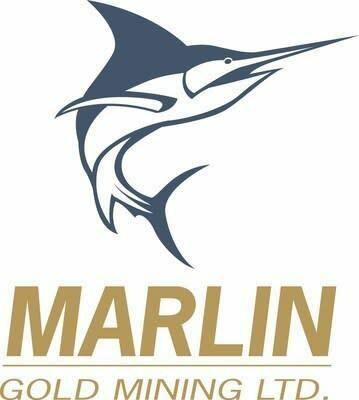 VANCOUVER , July 31, 2018 /CNW/ - Golden Reign Resources Ltd. (GRR.V) ("Golden Reign"), Marlin Gold Mining Ltd. (MLN.V) ("Marlin") and Sailfish Royalty Corp. (FISH.V) ("Sailfish") are pleased to provide an update regarding the proposed business combination of Golden Reign's wholly-owned San Albino-Murra Property in Nueva Segovia , Nicaragua and Marlin's La Trinidad Mine in Sinaloa, Mexico . The parties expect to be in a position to execute the arrangement agreement and ancillary definitive documentation on or before August 10, 2018 , and to complete and mail all meeting materials prior to the end of August 2018 in order to hold their respective shareholder meetings to seek all required shareholder approvals in connection with completing the proposed transactions by the end of September 2018 . Forward-Looking Statements: Some of the statements contained herein may be considered "forward-looking information" within the meaning of applicable securities laws. Forward-looking information is based on certain expectations and assumption that are considered reasonable at the time, however undue reliance should not be placed on the forward looking information as the companies can give no assurance that they will provide to be correct. As forward-looking statements address anticipated future events and conditions, such forward-looking information is subject to a variety of risks and uncertainties which could cause actual events or results to differ materially from those reflected in the forward-looking information, including, without limitation, the risk that definitive agreements are not reached and the non-binding letter of intent is terminated, the risk that the definitive agreements are not executed and the respective shareholder meetings are not held within the timeframes contemplated in this news release, and other risks and uncertainties including those discussed in each company's disclosure documents which can be found under each company's profile at www.sedar.com. None of Golden Reign, Marlin or Sailfish undertakes any obligation to revise or update any forward-looking information set forth herein, except as may be required by law.